We sit down for a conversation with living legend, ‘The Guardian Angel of Route 66’, ’Mayor of the Mother Road’, and (as we have now dubbed him) the 'Rockstar of Seligman' Angel Delgadillo. History will tell you that no one individual was more influential in saving Route 66 and consequently the towns along the mother road than Angel. As you’ll hear throughout the interview Angel believes in the power of the people. His story and movement is proof that ‘We The People’ can enact change even when the government has different ideas. 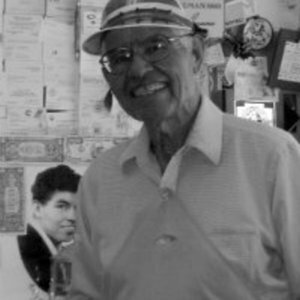 Angel was born and raised in Seligman, Arizona over 90 years ago and he can still recall with great detail every date and influential event throughout his time. Angels influence goes beyond Route 66 and all the way to Hollywood. John Lasseter who directed the animated Disney Pixar feature ‘Cars’ used his interview with Angel to help inspire the town of Radiator Springs used in the film. People have come from all over the world to interview and meet Angel. In fact Angel has been interviewed over 1000 times and we are honored that he gave us the time and is allowing us to share his story. Enjoy!